1.,2., 3. 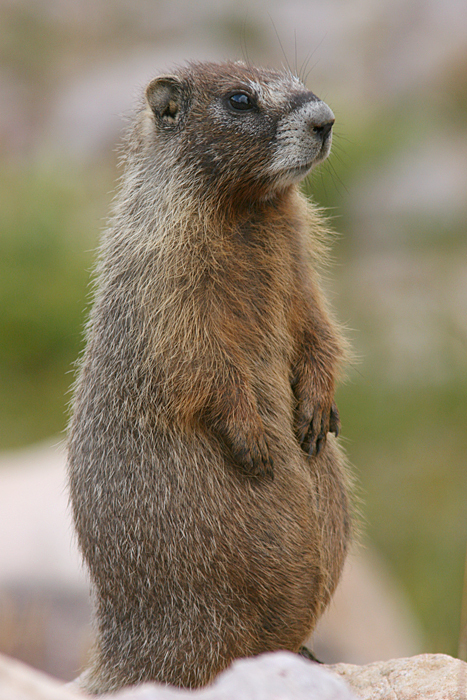 A young marmot was on one side of Highway 150 and the adults were on the other side. The adults seemed to be waiting for the young one to cross the road, but there was some traffic and the young one apparently didn't think he could make it across safely. 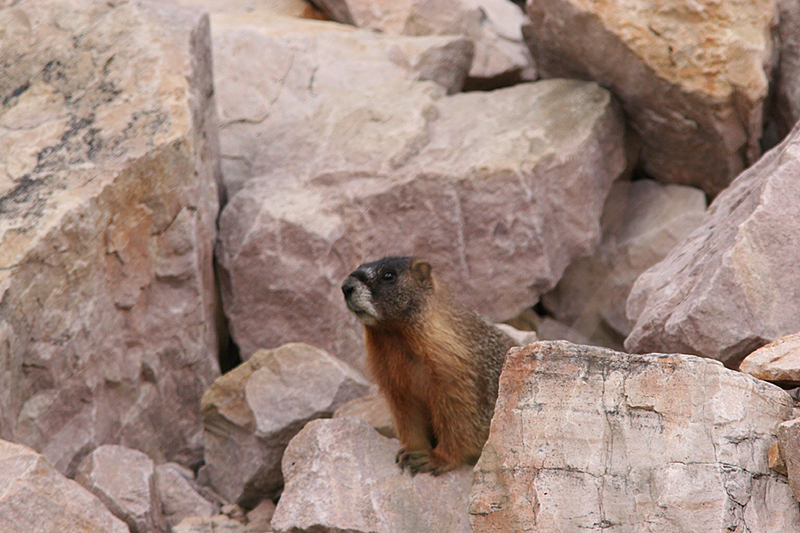 The 18-26 inch long Marmots inhabit burrows on rocky slopes on sides of mountain or a meadows. 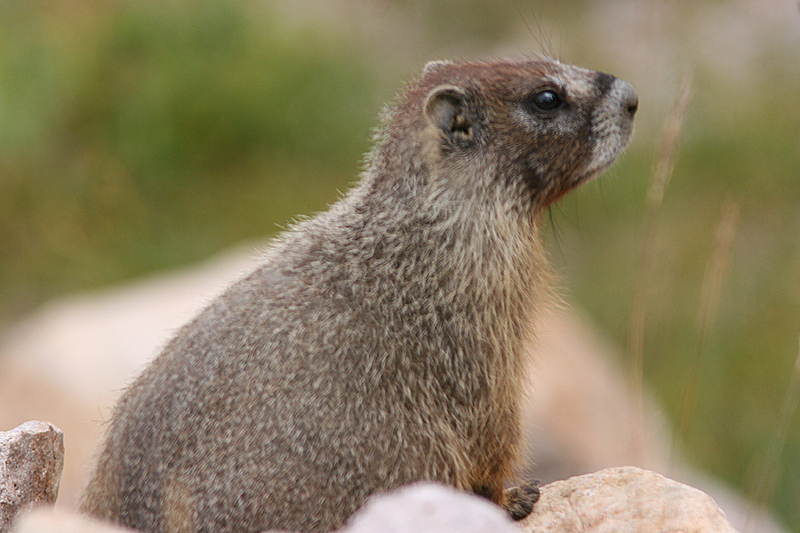 They live from 3 to 20 years eating forbs, clovers, alfalfa, grasses and occasionally insects. Foxes, badgers, bears, Eagles, and mountain lions prey on them.